Find out what are the best home security systems that would perfectly match your needs. Read about the latest advances in home security and our take on the different options available. No matter if you live in a group home, a small apartment in the city center, or a four-bedroom house in the outskirts, you should feel – and be - perfectly comfortable and safe. If you are planning on taking one thing at a time in terms of home safety, you should brace yourself for some heavy-duty work. A simpler, yet equally efficient approach would be to plan some home safety improvements. 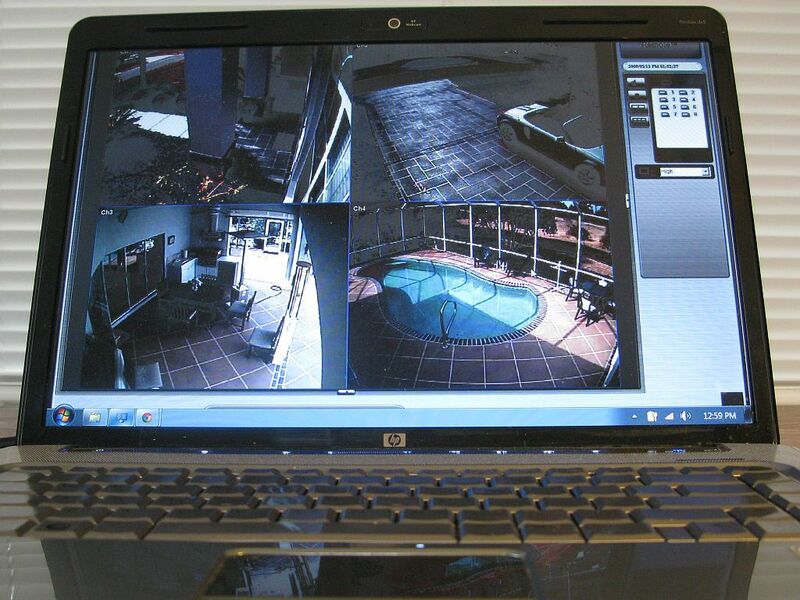 Installing a home security system is one of the best ways of keeping potential intruders at bay. But extended research on home security systems tells us that what might work for one person could be completely unsuitable for another one. This is why it is essential to dig deep into the matter and compare and contrast as many systems as possible. Reviews are your best friend when it's time to invest in a new alarm system. Your goal should be to come across a reliable home alarm that perfectly caters to your every need: constant monitoring, advanced automation gear, 24/7 assistance in case of break-ins/problems and the list goes on. To come to your help, here are a few of the highest rated home security systems that you could currently opt for, together with their features and reasons why we think they are worth considering. features/benefits. Look for services that provide highly dependable, state-of-the-art, user-friendly gear that is easy to use. Focus on home automation features and see how easy it is to use mobile system access options. the price/monthly fees. Depending on the limitations of your budget and the money you are willing to pay to beef up the safety of your home, you can expect to pay anything from $9.99 a month to $30 a month on average. The prices could go as high as $100 a month if you are looking for some truly premium services. Keep in mind there are other activation and equipment costs that may be added to the original costs. Always read the fine print and make sure the “free” equipment you will get upfront is actually as free as it is advertised. Additional equipment may also be required, adding up to the final costs. The same goes for any extra taxes and permit fees. the quality of the customer support service. Assess hours of availability (preferably 24/7), as well as any warranties for equipment, and see if you can find a service offering several methods of contact. Find out all about the cancellation policies and any additional requirements when assessing the customer support service of a company you are interested in. Vivint for smart homes is an excellent system that primarily addresses smart home owners. If you are ready to make the jump into the smart universe, or you have already started to control your lights or thermostat with the help of your phone, you might want to take a look at Vivint. The system allows you to check the state of the locks on your doors 24/7, from any remote location. You will also be able to change the temperature inside from a distance and make sure you'll be coming home to a cozy place. This system also allows you to take control of the interior and exterior lights and successfully avoid any tripping incidents. You will not only enjoy affordable plans with mobile access, but you will also be able to take full advantage of their state-of-the-art equipment and home automation integration. It's definitely an option worth taking into consideration. Frontpoint provides users with an exclusive Hub and Keypad that relies upon modern-day technology. The system promises to turn a home into a better protected smart home in just a few easy steps. The intrusion sensors are a powerful line of defense that works great against potential break-ins since the sensors can be installed at all entry points. When one of the sensors gets triggered as a result of an intrusion attempt, the Control Panel together with the monitoring center will be immediately alerted. You will also receive your own phone alert. The developers of this home security system claim to have used the most powerful encryption possible that is capable of handling the most advanced hackers. Worried about a power outage? No problem! Frontpoint appears to specialize in redundant backups, as well as numerous customizations that will perfectly cater to your exact needs. SimpliSafe is currently protecting more than 2 million Americans; with over 40,000 reviews on Amazon and Google and ranked as one of the fastest growing home security systems available on the market, you have every reason to consider using it. With six monitoring centers and alerts sent out to the police despite burglars successful attempts of damaging the keypads, this home alarm system will prove its worth from day one. The presence of a powerful back-up battery that enables 24-hour protection during power outages is another excellent feature of this system. Make sure you do some research online and use specialized comparison tools to ensure you will be getting the best offers possible. Expert residential locksmith services like Get Locksmith can also recommend, install and maintain home security systems for you. Get in touch with us, let us assess your security needs and help you upgrade your old system in no time.